Signed by all five in the band. Sung in Swedish. 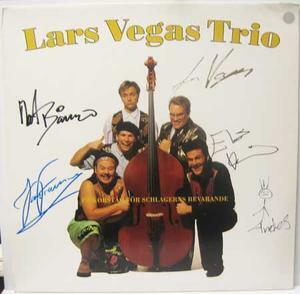 Real autographs (coloured Indian ink) by Lars Vegas Trio - s/t. (19 songs.) WEA 9031-76316-1. Germany, 1992.